Science tells us everything is a part of the one energy. To take this one step further, we are as humans intimately linked and vibrationally a part of everything. This linkage occurs because of our internal consciousness flow. All life contains consciousness, and in fact is the same consciousness in everything. Each piece in and of itself is a part of the entirety of existence. There is no separation in life; we are all linked through this divine flow. There is this vibrational hum permeating everything you come in contact with. 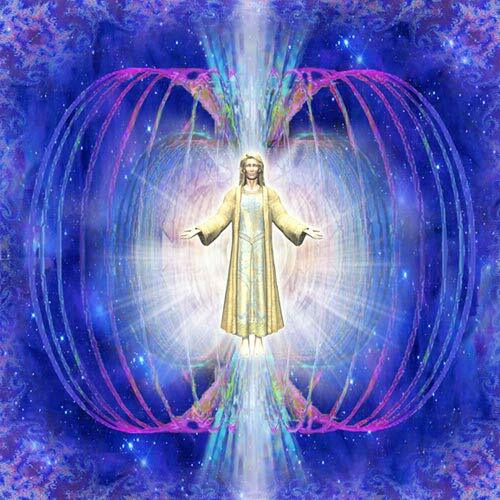 This vibration is highly intelligent and contains an expansive source of information. So my consciousness is part of the one vibrational soup of all consciousness. Think about this. If I am actually a part of the consciousness of all life there should be no reason why I cannot move within this consciousness flow and have a direct experience of all that exists, regardless of the placement of such vibration. It means if I can merge into my consciousness to directly experience it I should be able to move through it to attain a realisation of the consciousness of anything at all. When in full and direct flow of consciousness I step out of the time/space continuum. I become seamless and am able through intent be anywhere and experience anything I choose. Through meditation, one can directly experience one’s consciousness vibration. When you are in this vibration, you are in the vibration of all consciousness. By moving into direct experience of my consciousness and moving further through it and out and beyond I become limitless. When you experience your consciousness you experience the consciousness of all life. You can use consciousness flow as a conduit to escape the confines of our restrictive earthly reality. Within consciousness resides a deep understanding of existence. Every piece of this vibrational soup holds information and profound understanding. If I merge into the consciousness of the tree in my backyard and directly experience the consciousness emanating from it, I have a profoundly intimate experience of who and what that tree is. I become aware I am in fact a part of its’ being and existence. My life is instantly enriched as a result of this experience. I also see this tree as more than something growing in my backyard. I now become aware of my connection to it and the intelligence of its consciousness. I instantly place a more important value on it. By directly experiencing the consciousness of plants, people, and anything at all in creation, I form a more intimate and loving connection to all life. My world is enriched as a result and a real sense of love is invoked within me. To me the ultimate form of love is to experience our connection to all life. To experience the consciousness with my environment, to experience consciousness in the people I meet. The consciousness with a person goes way beyond the humanness of a person. It is not polluted with non-truthful conditioning or dogma. Consciousness is the pure essence of God. Once recognised, profoundly changes you and the way you look and perceive life. I will be very soon recording a consciousness meditation to help you to directly experience this divine energy within yourself. Once experienced, you can take this experience into all life. Come back soon to this blog site for information to download meditation. Nice post Trevor. People think this, and that, but give little though as to “how” they are able to think. I have long thought that, consciousness plays the biggest part in the process that, allows us to think.Without it, no one would have an opinion on any subject. As is evidenced by those people who are in a coma.Of course consciousness plays a much bigger role than just facilitating human thought. Your right on the money Trevor.